Ah, February 14th… a day of conflicting moods. A time when many happy couples celebrate their love with cheesy gifts and romantic dinners, while for those without partners it could be like any other day. 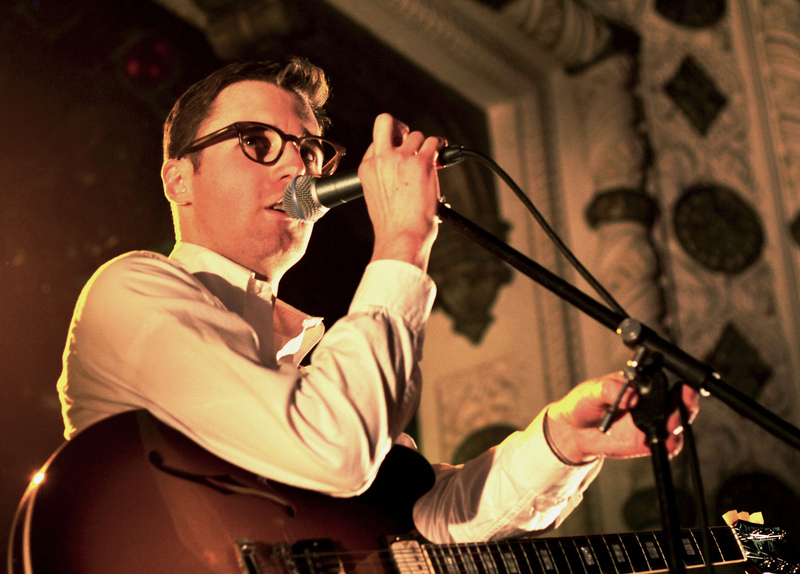 The Metro’s organizers were well aware of the of the date, and recruited Nick Waterhouse and his retro-soul band to dazzle the lovers and solace the lonely ones. Waterhouse is another musician from the very prolific Southern Californian underground scene, which has lately brought to light artists such as Ty Segall, The Allah-Las and Mikal Cronin. Unlike the psychedelic and garage style characteristic of the those artists, Waterhouse has found his own path through old school R&B and a Buddy Holly pre-rock & roll aesthetic. When he moved to San Francisco to attend college, he worked in a record store that only sold R&B 45” records. “There’s not even a cash register [at the store]. It’s just a guy and a box,” Waterhouse said. There he mastered the foundations of this music, embracing its dominance among black music of the 50s and 60s. The 17-song set list showcased all the songs from Waterhouse’s LP debut Time’s All Gone, as well as several covers from some of his music heroes like Bobby Womack. Nick’s hit “I Can Only Give You Everything” opened the concert and was followed by a jazzy version of “Ain’t There Something Money Can’t Buy” by Young-Holt Unlimited. Waterhouse had time to show the audience a new song “Sleeping Pills” and a surprising R&B transformation of the psychedelic track “It #1” by his friend Ty Segall. The intro of “Some Place” allowed Nick to show off the band behind his robust sound, The Tarots, which includes a two-piece horn section and a exotic backup singer. Zane Morris (electric bass) brings equilibrium between the continuous treble call-and-response of the wind instruments and the guitar-playing of the frontman. Nick is the only guitarist in the group, but he is comfortable playing jazz, blues, soul and R&B patterns. The variety of his songs force him to be very diverse in his guitar arrangements, continually alternating harmonic chords with very rapid and thundering solos, which gave the songs a more powerful sound live than on the album. Nick Waterhouse bade farewell to Chicago with a rather ironic pairing of love songs: Charles Sheffield’s “It’s Your Voodoo Working,” which he described as, “exactly how I feel about falling in love.” He ended his Valentine’s Day show with an appropriate and glowing version of “It’s All Over Now” by The Valentinos, a song about the beauty of ending a relationship and being by yourself.